Today I have a nail art technique for you. Needle drag is a way to create an interesting manicure thats cute and super easy. I have done this technique before in a slightly different way. My nails looked completely different than these below. It's easy to make your nails look however you want! 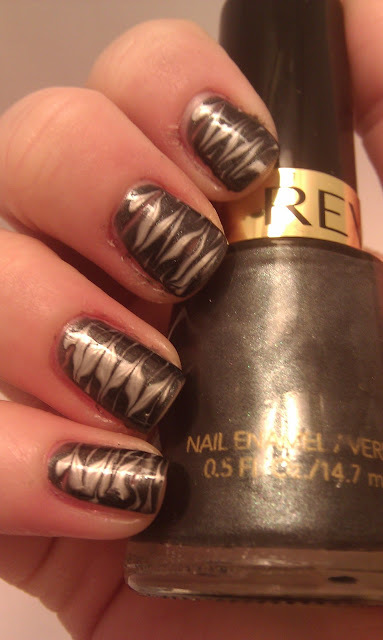 For this design I applied one coat of Revlon Black with Envy. I let that dry and applied another thicker coat. While that is wet I took Pure Ice Platinum and ran the brush lightly down the middle of my nail. This made a small to medium stripe of white polish. 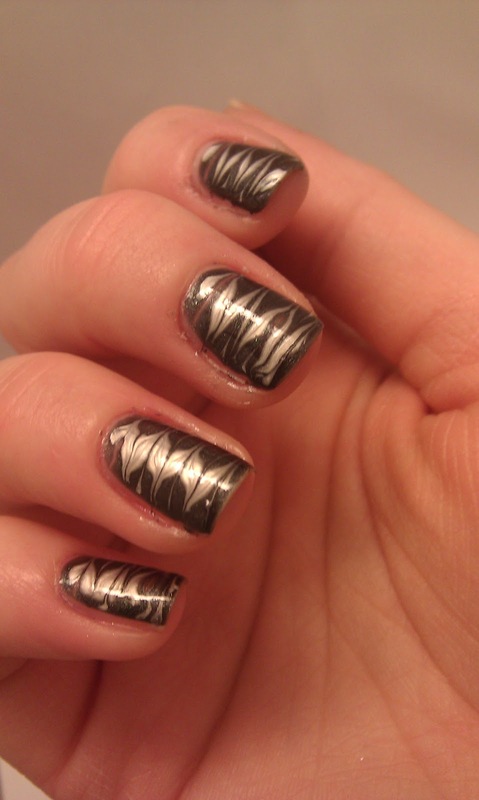 I then took a toothpick and drew lines in the polish horizontally to the stripe. I drew the lines in opposite directions. These steps need to be done quickly so the white polish drags nicely. There you have it! An easy and awesome manicure! I hope you like. your welcome! 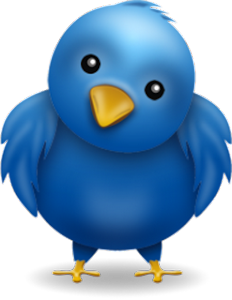 tweet me a pic when you do! Very cool! I've never tried anything like this. Thank you! 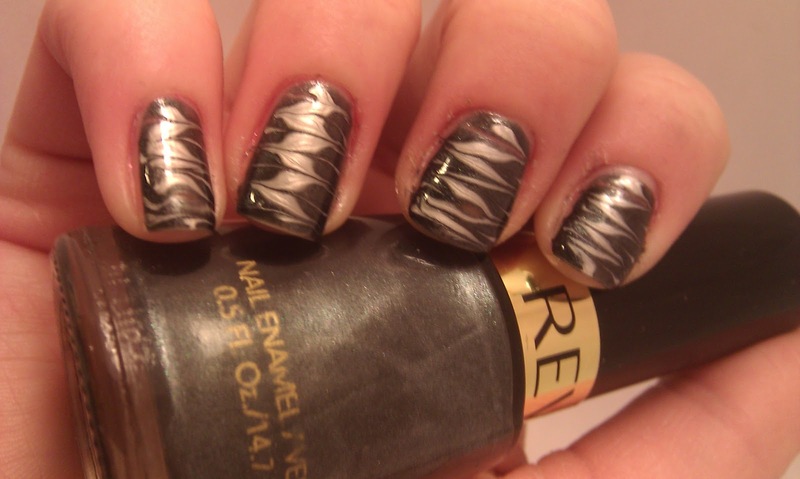 Whats awesome is that you can make the nail look however you want! Awesome technique. This came out nicely.